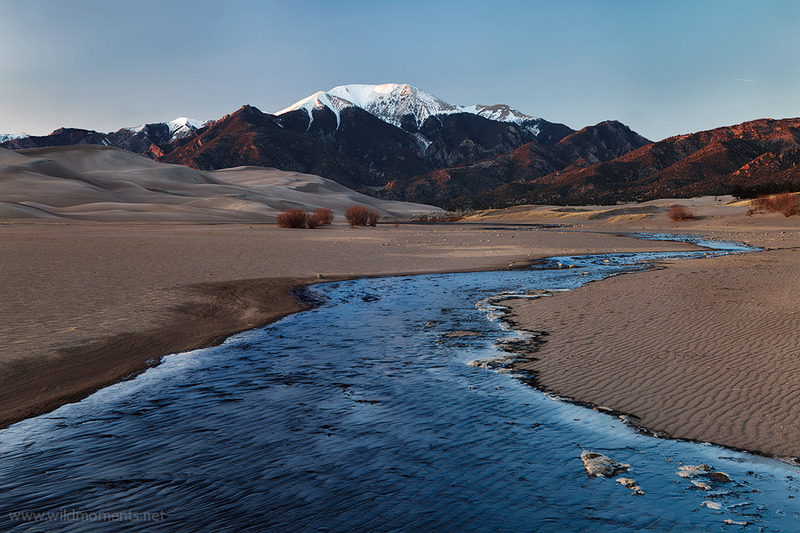 The nascent stages of Medano Creek (framed by the Sangre De Cristo Mountains) captured here in early spring at sunset on crisp, cold evening. Within an hour after this image, the waters shown here were almost completely frozen! Photo © copyright by Michael Greene.